These are the dates for our drop-ins in December 2017-January 2018. Click here for information about our special events that are coming up in the next month or so. 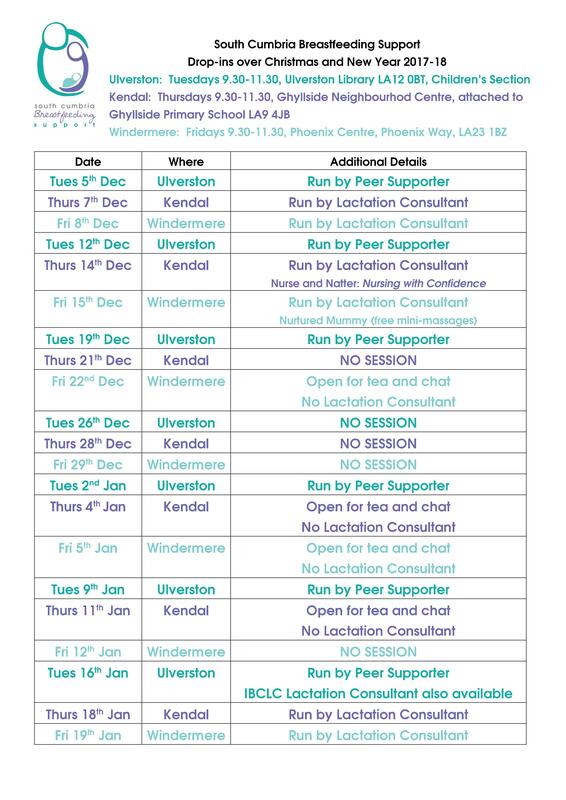 You do not need to be exclusively breastfeeding to come to any of our drop-ins or events. We support mothers who need, or choose, to combination feed or express. Everyone is guaranteed a warm welcome, no matter what their feeding journey has been. Newer Post Breast Friend Award 2018 Older Post Come and see our fundraising Christmas Tree!